This workshop is about social media and blog. How to use it in teaching and learning. Web 2.0 technologies bring the web to a new phase, which allows users not only to use information but also to be directly involved in generating new information. Social Media vs Web 2.0? Social Media as one of the Web 2.0 tools allow social interaction and easy creation of content by users. It can be an effective tool for teaching and learning in higher education. It can help connect students to information and help them generate a dialogue with their teacher and other students about a course. Blog is another Web 2.0 facilities which is easy to create and offers variety of interactive facilities. It could give positive impact towards student’s development. This course revealed to academic staff on how to utilize social media and learning and Blog for teaching and learning effectively. What are the things that I have learn in this workshop? 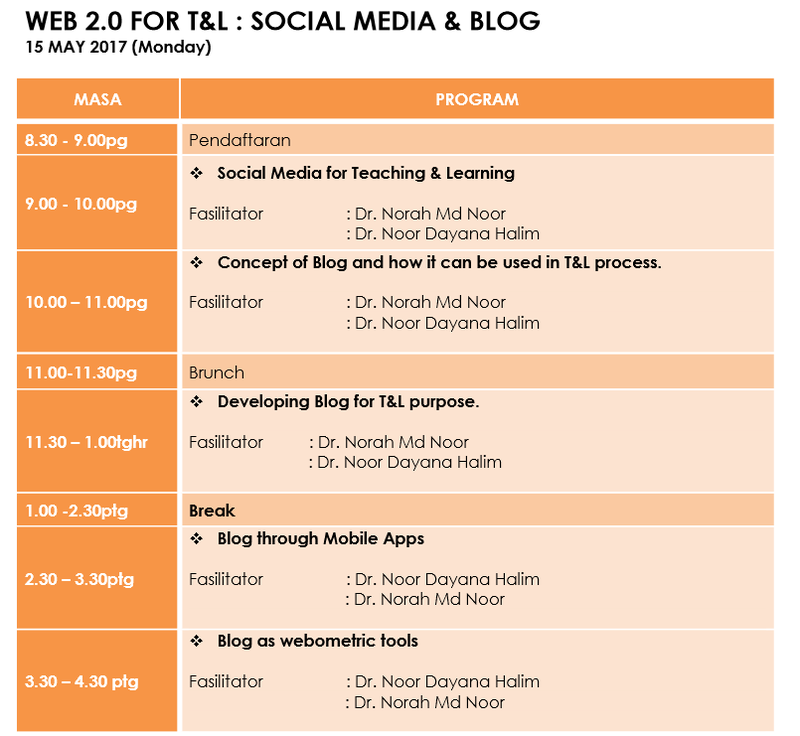 Concept of Blog and how it can be used in T&L process. Developing Blog for T&L purpose. The trainers/facilitators are very helpful and wonderful. 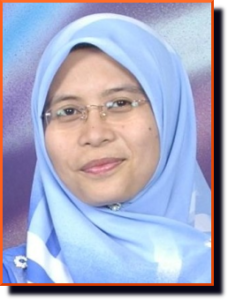 Thanks Dr Noor Dayana Halim and Dr. Norah Md Noor. Here is the schedule of the workshop.